This home is PRICED to SELL! 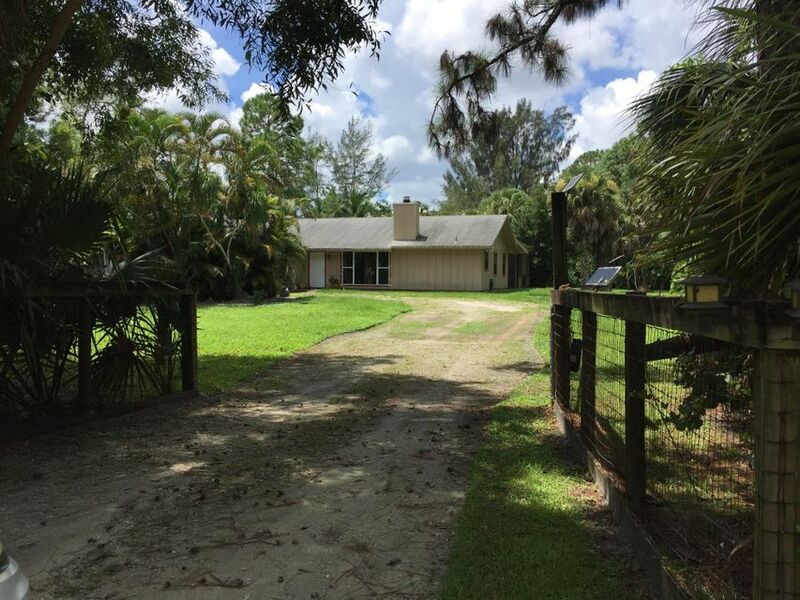 3/2 2-car garage pool home on 1.25 acres. Split bedroom plan with excellent floor plan and plenty of space. Kitchen and bathrooms updated. Kitchen has Silestone counter that extends into pool area for entertaining. Appliances are almost new. Refrigerator one week old. Front bay window is impact glass. Beautiful working curved fireplace. Patio and pool have large screen enclosure. Parquet wood floors in living area (owner has extra) Sliding glass doors in master bedroom, dining room, and family room. Laundry room with plenty of storage. Large 2 car garage with ample storage. Property is fully fenced.